Congratulations! You’re expecting baby number two, or three, or four! Now the question might be where is the new baby going to sleep? For many families the impending arrival of a new little one means some rearranging; and most of us want to do so in a way that’s going to be the least disruptive and non- headache inducing. Here are our tips for making sure that making space does not mean making sleep problems for big brother or sister. Rule #1 If your “older” child is under the age of three and in a crib DO NOT plan to use his crib for the new baby! By ensuring that you have safe, age-appropriate sleep solutions for both of your children it will mean that everyone can continue to sleep where they are most comfortable and get the sleep they need. Some parents opt to keep their nursery as a nursery and move big sister to a new room. There is no issue with this! Ideally just like any other transition this would be done at a time when no other major transitions are taking place. Meaning, if she just started preschool you might want to wait a few weeks before introducing another big change. When you are ready to move your toddler to a new room there are several things you can do to make the transition as smooth as possible. First and foremost, I would talk to your child about the change. If she is over the age of two then she’s certainly old enough to sense change and have a conversation about it. It does not have to be a complicated conversation, just keep it simple and explain to her that sometimes people move houses and sometimes people move to a new bedroom. Tell her that she is still going to be a great sleeper, mom and dad will still always be close by, she can bring all the things that are special to her, and that she will be safe and cozy. Assuming that she knows she is going to be a big sister it would also be great to read some books about becoming a big sister. This will certainly not be the only change that affects her in the coming months. Begin to talk about how a new baby will mean that some things will look a little bit different but many things will also stay the same. She will still have the same mom and dad, go to the same school, play with the same toys, read the same books etc. Most of her life will stay the same and it’s important to remind her of that. In addition, you can also read some books about moving. There are fewer options that specifically address changing bedrooms but even a book about moving to a new house would be a good conversation starter. You can discuss with her how people move to a new house just like she will move to a new room. If she is old enough let her have some input. Maybe she can help you choose the paint color for the walls, or a new rug for her room or a new picture to hang on the wall. It doesn’t have to be anything big, fancy or expensive but just a way to get her involved and let her feel as though she’s making the new space her own. When it is time to switch bedrooms make sure to bring all of the things that she associates with sleep. If you are going to be leaving the crib in the old room to avoid taking it down and setting it back up that’s completely fine. But, grab the mattress and put it in her new room- it will feel familiar to her and she will feel more comfortable. Also bring any special blankets, stuffed animals, sound machines, a fan she’s used to sleeping with etc. You can certainly re-create her old room in the new space by making sure she has the things that are familiar to her just as you might do if you were traveling. Finally, make sure that the new room is as conducive to sleep as her old room. Make sure that it is plenty dark and plenty quiet enough. Before the big move spend some time together in the new room. Whether that means he “helps” you paint the walls or you simply relax in there together reading books, just some way to familiarize your child with the new space and help him feel more comfortable in it. That way, when he’s expected to sleep there on night one it’s a space that he is already getting used to. Children are typically fairly flexible and easily adapt when things are presented in the right way. They generally do better with slow change rather than abrupt change so take the time to make the transition gently. If you stay confident and upbeat your little one will feed off of that and be more apt to feel excited about the change too. After all, a new baby is quite exciting! The amount of sleep our bodies require changes as we age. Very young babies sleep a lot – 16-20 hours a day (which makes perfect sense as their main objective is growing their brain and body). Many parents are surprised that at 12-18 months, their kids still need about 14 hours of sleep per day. Toddlers and preschoolers require 12-13 hours of sleep per day and school age kids still need 10-12 hours. There is a whole lot of growing going on, and remember – sleep is required for brain growth and development. And if you can believe it, highschoolers still need 9 hours of sleep per night! Knowing how much sleep your child needs to be happy and healthy will allow you to insure they are getting that sleep. For children who are still napping, ensure that naps are happening in sync with their circadian rhythms and that bedtime is occurring before overtiredness can set in. Children who are no longer napping, will need to achieve all of their sleep at night. As we can not count on our kids to sleep-in in the morning (don’t we wish!! ), we need to make sure bedtime is early enough to achieve their total needed hours of sleep at night. For example: if your child needs 11 hours of sleep at night and they wake at 6:30am – they need to be fast asleep by 7:30pm. That is asleep, not just getting into bed. This goes for parents as well. 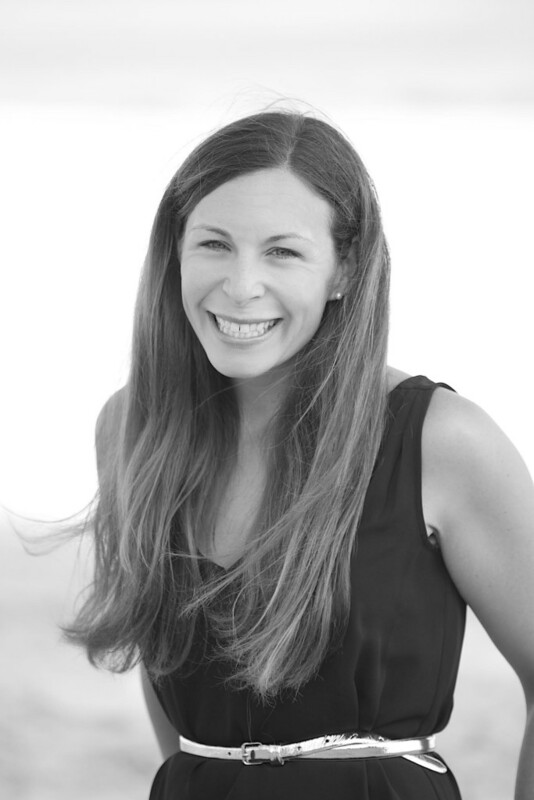 To be healthy, well functioning adults we need quality sleep too! 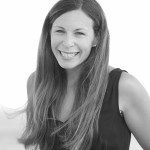 Please check out my first guest blogger gig on Kansas City Mom’s Blog – click here for original post! Around age two, many children start to have periods of nap regression. In fact, I went through one with my toddler just last week. It is indeed very frustrating when your norm changes so suddenly. For the past two years, I have simply bid my daughter a nap time adieu, and she was fast asleep within minutes. Last week, I went through my typical pre-nap routine and instead she chose to happily bounce around her crib like a jumping bean for a full two hours. 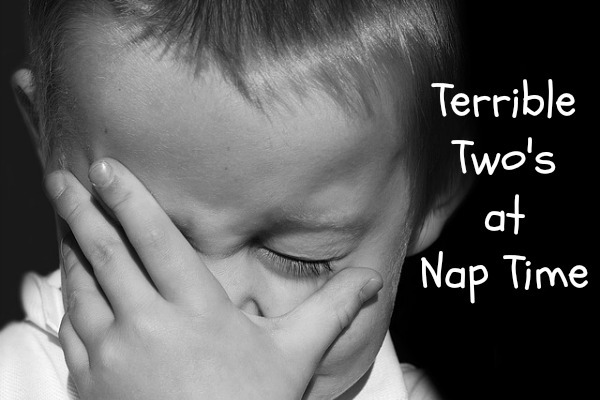 There has been a lot of talk lately about two year olds not “needing” a nap. To the untrained eye, what I went through 5 of the 7 days last week would likely have looked like my daughter giving up her nap — luckily, I knew better. All two year olds are in need of a daily nap for their health, growth, development, demeanor, and your sanity (I will not bore you with the science supporting my opinion, but for details read this). There are a few causes for these nap slip-ups, and if you are committed to keeping a nap in your child’s day, these nap regressions are 100% fixable. The key to surviving the ups and downs of daytime sleep with a two year old is to know that blips in the road will occur and to have a plan in place to handle them. Want to keep your two year old’s nap? Then read on. With naps timing is everything. Why? Because we want your child’s nap to occur in accordance with their circadian rhythms. We all have certain times each day that our bodies want to sleep. These times change as we grow, but they are age based and predictable. If we can sleep during one of these times, we will have the easiest time falling asleep and the sleep that occurs during these “sleep waves” is the most restorative and beneficial to our bodies. Often times as our kids get older, we become more lax about their nap times, and we let naps slip a bit too late. If we miss the “window” not only will your child not have the power of this sleep wave to help them drift off, but it is likely that overtiredness will also set in. When we become overtired, our bodies release stress hormones to keep us going – think second wind. Once this happens, it is very hard for a child to settle and fall asleep because these stimulants give their bodies a jolt of energy. 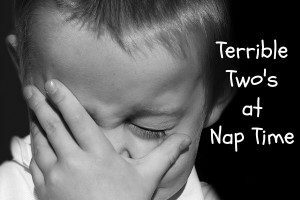 Often parents mistake this overtiredness for their child not needing a nap or not being tired. Fine-tune your child’s schedule to ensure they are napping at the proper time and are able to go down before they become overtired. At age two, your child should be falling asleep for his nap sometime in the 12:30 – 1 p.m. time range. Some kids are very sensitive and missing this window by even 15 minutes can cause a skipped nap. Reset your child’s clock and aim to have him asleep by 12:30 p.m. for a solid week to see if it impacts the ease with which he falls asleep or the quality of their nap. Note – patience and consistency is critical. It is not enough to try for a day or two and then give up. Allot a solid week. If you have a two year old, I am sure you hear the phrase “I can do it myself” often. I must hear it 10 times a day. While I love my child’s new love for doing things on her own, it can be frustrating when we are running late and I just want to get whatever it is done! This need to be in control often also carries over to their sleep. Suddenly skipping a nap or playing during their nap becomes a power play for independence because it is a decision we cannot make for them. A two year old’s quest for knowledge is never ending – so take that love and use it to your advantage. At dinner on a skipped nap day ask your child how they feel. Explain that the reason he feels cranky and not at his best is because he didn’t get in his nap. Talk about how sleep makes us feel healthy and great and allows us to have the energy we need to do fun activities in the afternoon and early evening. And remember that need for control? We will use that, too. Tell your child that the decision is his: he can choose to take his nap and feel great and have the energy to play and read books before bed, etc. Or he can choose to skip his nap and feel too tired to do fun things and will have to go to bed early to catch up on that missed sleep. It is his choice to make, but either way he has to stay in his bed for the full nap time. When you put the ball in his court and let him decide, they usually choose sleep. Many parents think that developmental leaps stop impacting sleep once their child hits toddlerhood, but anytime your child is mastering a new cognitive skill it is very common for naps to be impacted – no matter their age. At age two, you child is still mastering many concepts and his language is still in full blown growth mode. As our kids do not get a lot of alone time during the day, nap time is perfect time to be alone and master these new ideas. Some children skip their nap all together and some talk to themselves for 90 minutes before passing out just before nap time is usually over. Do nothing. As tempting as it is, going in and telling your child to go to sleep will just exacerbate the issue and will not result in a nap. It may even cause the nap issue listed in #2 because if you tell them to sleep, as they may do just the opposite. So, just leave them be. If they do not sleep, make it up with an early bedtime so they do not become overtired. And keep offering the nap at the correct timing and eventually it will come back.